The NBA will be relaxing its rules regarding the color of players' footwear in 2018-19, league sources told ESPN's Nick DePaula earlier this week. The league had already loosened some of the rules around footwear over the years, allowing players to wear team-color sneakers in addition to the traditional white or black, and introducing "theme nights," when players could wear specific colors or styles outside the norm. 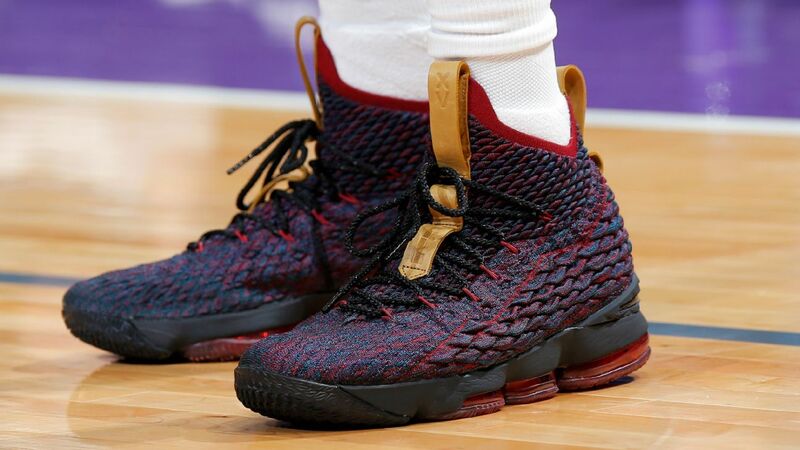 However, some players have still run afoul of the rules -- perhaps most famously the player whose name is now worn on the feet of dozens of NBA players. 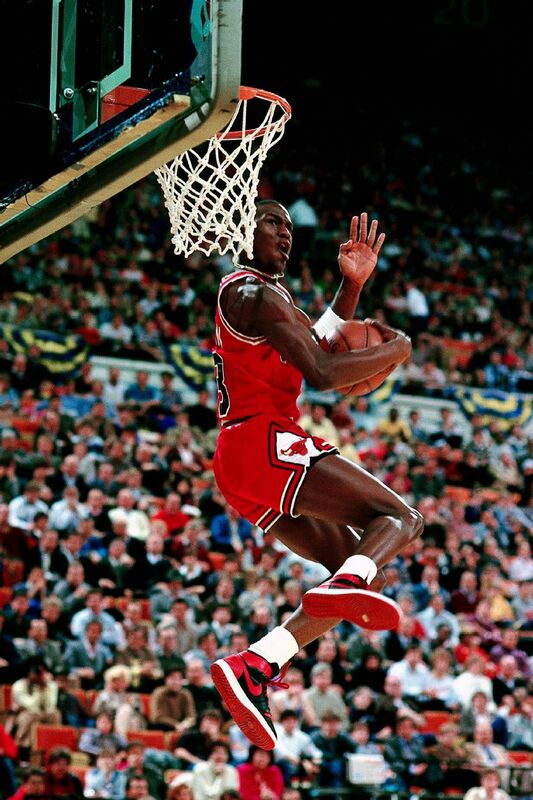 Nearly 35 years later, the original Air Jordan remains the most famous "banned" NBA sneaker. Jordan began the preseason in a black-and-red colorway of the Nike Air Ship while he waited for his signature shoe to be ready. That shoe was the one that first drew a warning from the league, before the same colorway of the Air Jordan was disallowed for the regular season -- though Jordan did wear it in the 1985 All-Star dunk contest. Whether the alleged "jump enhancement" technology in the sneaker worked or not, the NBA wasn't willing to take a risk on allowing the APL Concept 1 to be used in a game, banning these before the 2010-11 season. Like Nike had done with the "banned" Air Jordan decades earlier, APL turned the ban into a large part of its marketing campaign. The first version of Carmelo Anthony's Jordan Brand signature sneaker for the 2013-14 season featured a chrome heel counter. While it looked cool, it created multiple issues: Lights from inside the arena reflected on the chrome, creating visibility problems both in person and on TV, and the chrome itself represented a hazard if it was to break off from the sneaker. 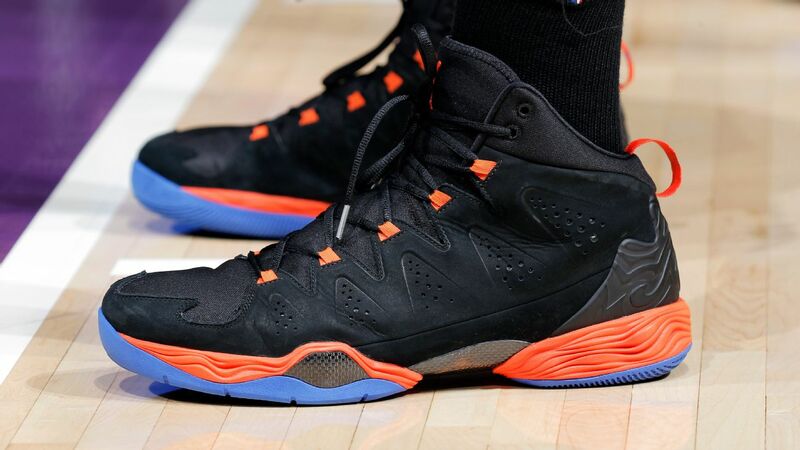 Jordan created a version of the sneaker with a matte heel for Melo for the second half of the season. Curry's sneakers for the Warriors' Chinese New Year game in 2018 reproduced visual elements from his jersey that night. Just one problem: Curry's jersey was made by Nike, as are all the jerseys in the NBA under a new agreement that began with the league last season. The visual elements that appeared on Curry's Under Armour shoe were only approved to appear on the Nike jersey. 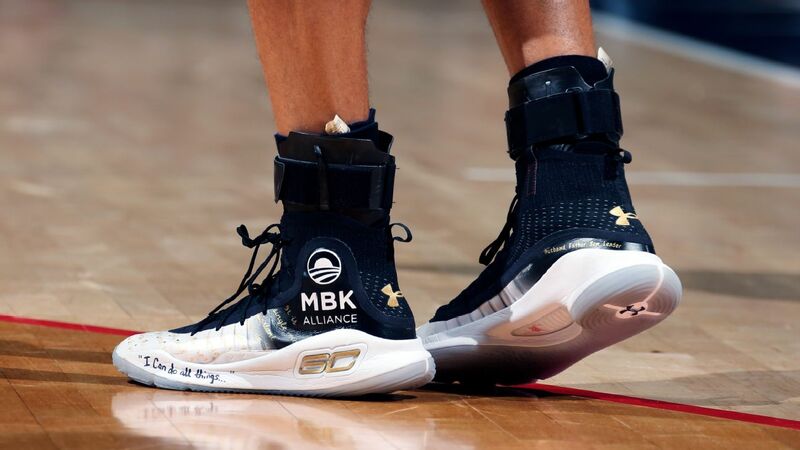 The two-time MVP ran into a similar problem when he wore sneakers for the Warriors' visit to Washington featuring the logo of President Obama's My Brother's Keeper Alliance, which was a violation of the NBA's rule on any third-party logos appearing on sneakers. Towns frequently turned heads with his eye-catching custom sneakers last season, but he caught the wrong kind of attention from the league office after paying homage to the hit Netflix show "Stranger Things" in January. Unlike some of the other pairs on this list, this shoe -- along with Curry's custom sneakers -- would still be disallowed under the new rules. Fox tweeted about the league's previous sneaker rules during the summer -- "That fine during the season real" -- after the Kings guard found out about the rule during the season when he was forced to switch out of these mismatched Kyrie Irving signature sneakers and into a pair of LeBron James' model in a more conventional colorway in January. Maybe the Charlotte Hornets big man can commiserate with his team's owner about drawing the ire of the league's shoe police. Kaminsky was warned after wearing these customized sneakers promoting his podcast during a game this past April. Smith was one of a trio of Hawks, along with Jeff Teague and DeShawn Stevenson, who was warned by the league for wearing pink-and-teal-accented Adidas sneakers during a road game in Miami in 2012. While the South Beach aesthetic of the kicks would've gone nicely with the Heat's "Miami Vice" uniforms from last season, they didn't quite match Atlanta's red and navy color scheme at the time.